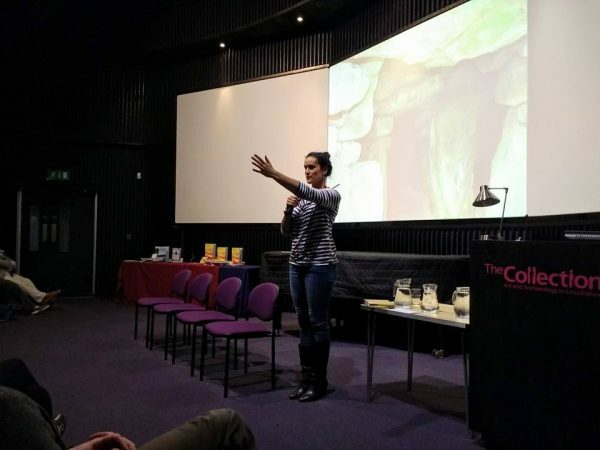 After three years of planning and fundraising, our 3-year, Heritage Lottery Fund supported Layers of History project has launched! 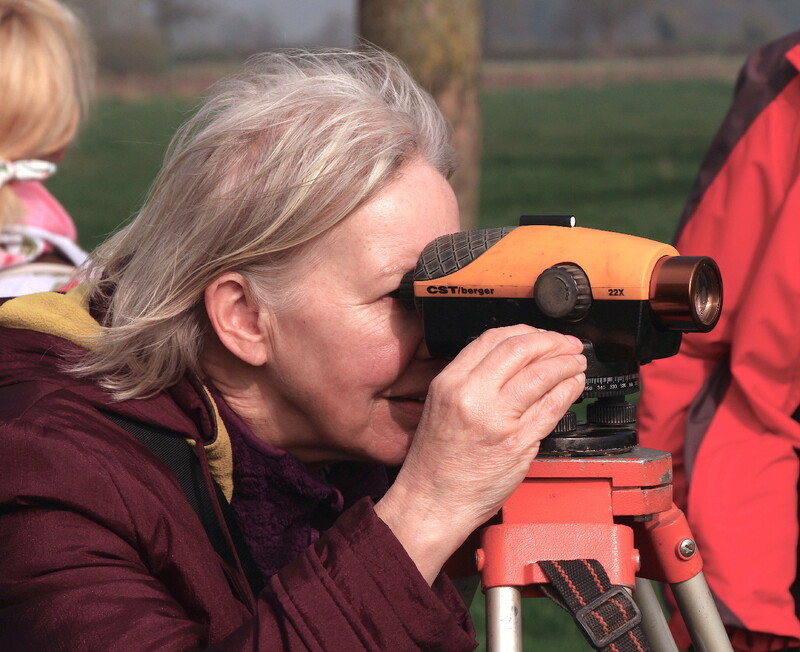 Drawing on feedback from our previous projects such as Down Your Wold and Heritage at Risk, we knew that there was an appetite for landscape archaeology. But nothing prepared us for quite how popular Layers of History was going to be! By February our project team members were in post, building an army of potential volunteers, and on 4th February our social media Thunderclap went live, reaching almost half a million people on Facebook, Twitter and Tumblr. It helped us announce to the world that the project was ready to roll and that we needed participants and volunteers. In March and April over 80 people attended our 'Meet the Team' coffee mornings where they found out all about the project and how they could get involved. More than 60 attendees then came along to our volunteer induction days at Revesby where they got stuck in with taster activities at the privately owned Cistercian abbey earthworks. May saw our official launch event at The Collection in Lincoln, opened by our CEO Liz Bates and featuring broadcaster and author Mary-Ann Ochota on landscape spotting and why volunteers need to get involved in projects like Layers of History, Steffie Shields on ‘Legends of Landscape – Lincolnshire’s Parks and Gardens’ and Adam Daubney (Finds Liaison Officer, Portable Antiquities Scheme) on 'Palimpsests and Persistent Places' (how to interpret multi-period artefact scatters). Over 100 people were wowed by enthusiastic and enlightening talks from the guest speakers and there was a definite buzz in the air! Our first courses and workshops have taken place, with volunteers learning all about medieval settlements and having a tour of Asgarby deserted medieval village, a workshop on undertaking research online and discovering Lincolnshire Archives. 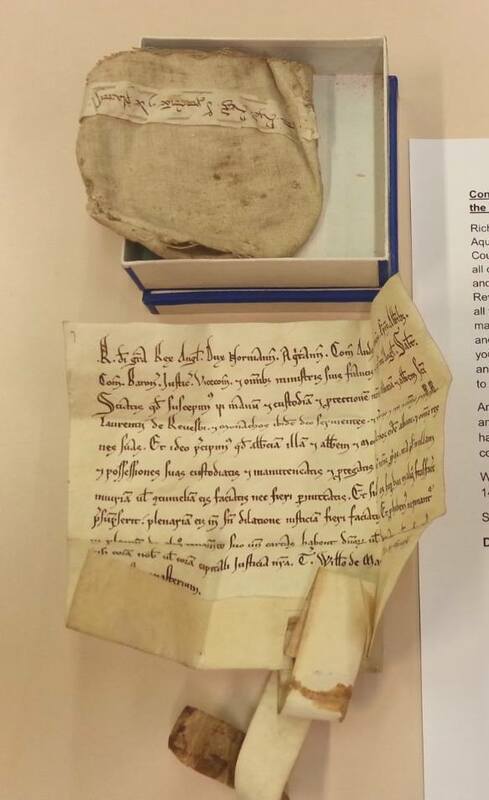 Volunteers were amazed to be able to handle a medieval document that confirmed Richard the Lionheart's protection of Revesby Abbey! 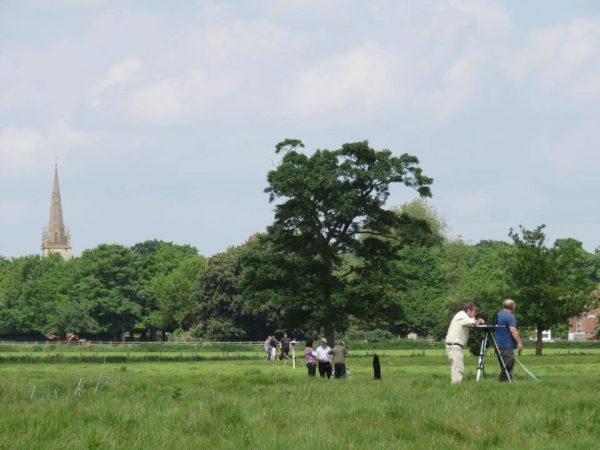 We've also been privileged to have been allowed to take volunteers to Revesby Estate to survey the Cistercian abbey earthworks there. Sixteen volunteers were taught how to use a plane table in glorious sunshine! Our work with carers and the people they care for has also started, and we're planning an exciting programme of activities for this new audience. If this has whetted your appetite visit our Layers of History web pages to sign up or find out more.